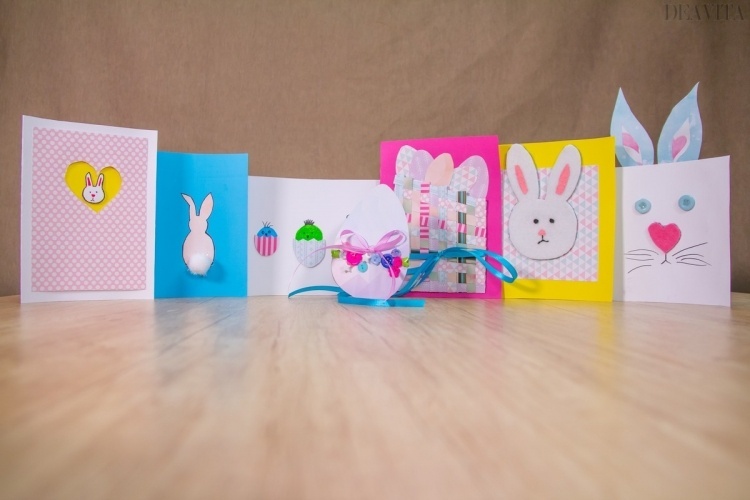 Greeting cards are traditionally sent on special occasions such as family celebrations and parties or presented to the hosts together with small gifts. 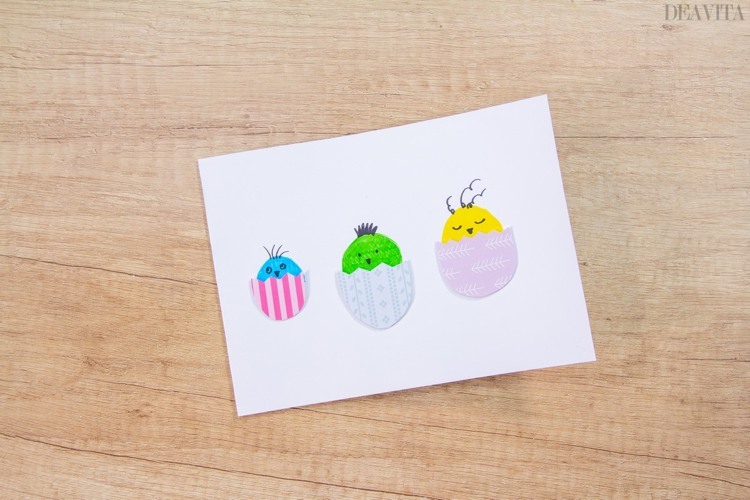 A self-made postcard gives the greetings a personal touch and will certainly give pleasure to the recipient. 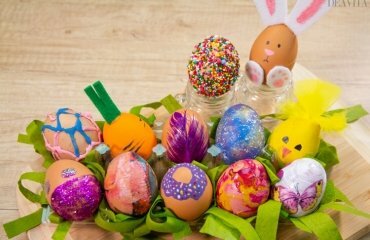 Especially at Easter, crafts are a great fun: Cute motifs such as Easter bunnies, adorable chicks and colorful Easter eggs add to the happy mood. 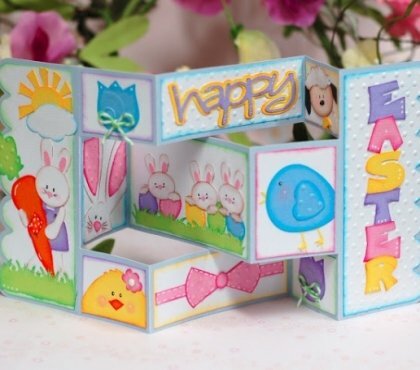 We will show you 7 ideas how to make Easter cards with colorful paper and even beginners can easily master the task. 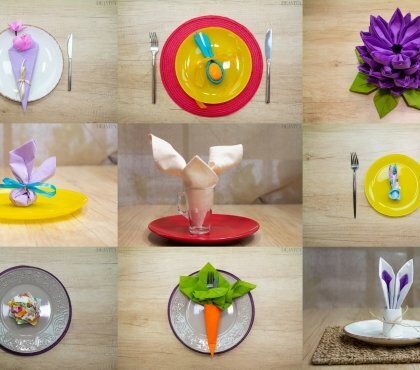 Fold the white cardboard in the middle. Cut a 16 cm long and 11 cm wide rectangle from the designer paper. Turn the rectangle over and draw a heart in the middle. Cut out the motif with the craft knife. Cut a square out of the yellow paper and stick it in the middle of the top of the white cardboard. Attach the rectangle with double tape. 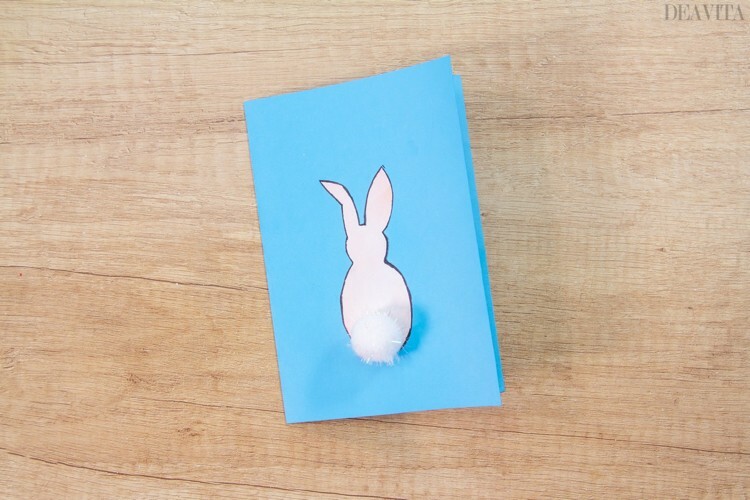 Paint a rabbit’s head on the rest of the cardboard and cut it out. 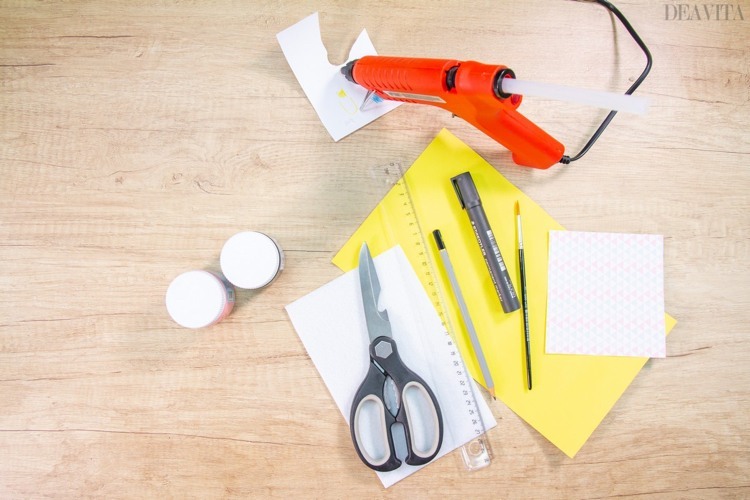 Attach the head to the yellow paper with double-sided tape. Fold the blue cardboard widthwise in the middle. 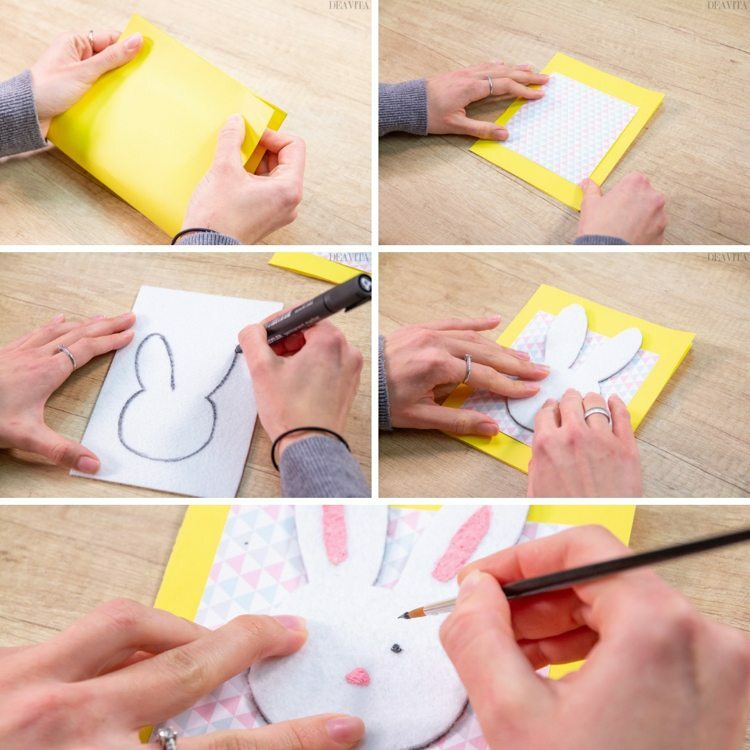 Draw an Easter bunny silhouette on the designer paper. 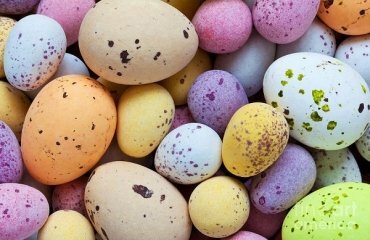 Cut out the Easter bunny silhouette. Glue the silhouette in the middle of the blue card. Fold the white cardboard widthwise in the middle. Paint three semicircles in different colors (green, blue, yellow) on the white cardboard. Draw three semicircles with a zigzag bottom line on the designer paper. 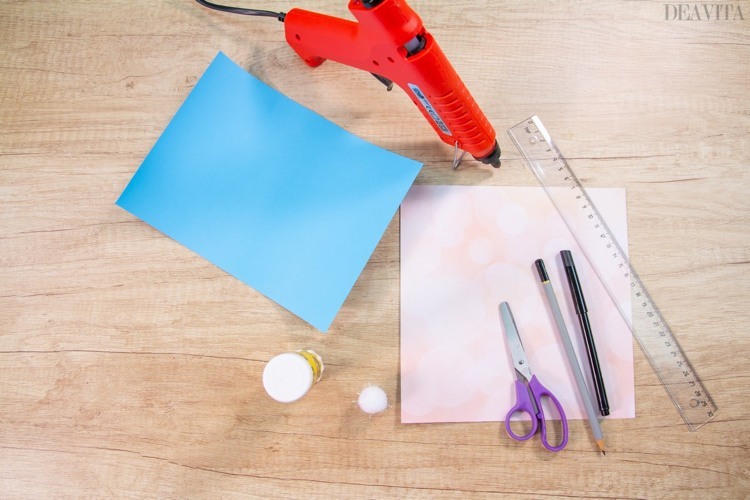 Cut out the semicircles from the designer paper and glue them under the semicircles on the cardboard with double-sided adhesive tape. Fold the designer paper in half widthwise. 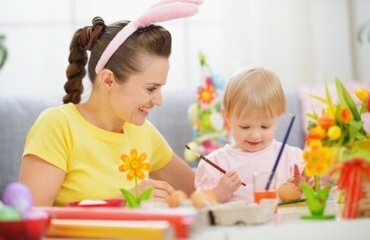 Draw an Easter egg silhouette. 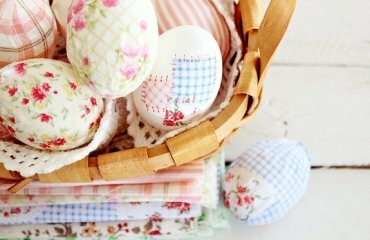 Draw a horizontal line with the pencil and the ruler at the widest point of the Easter egg silhouette. Glue beads and buttons on top. Cut a 15 cm piece from the satin ribbon. Tie a loop. Glue the satin ribbon over the buttons in the middle. 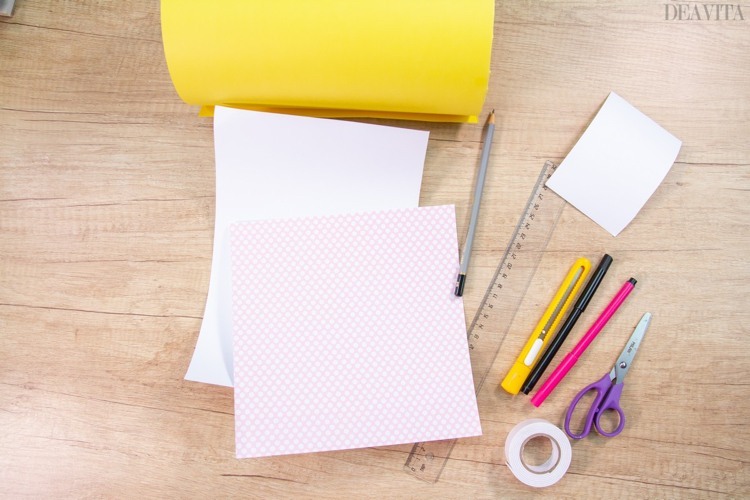 Fold the yellow cardboard paper widthwise in the middle. 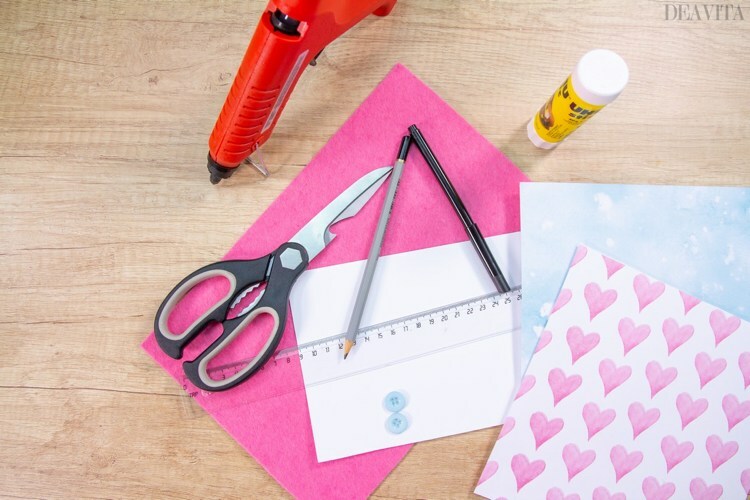 Glue the motif paper in the center of the greeting card. 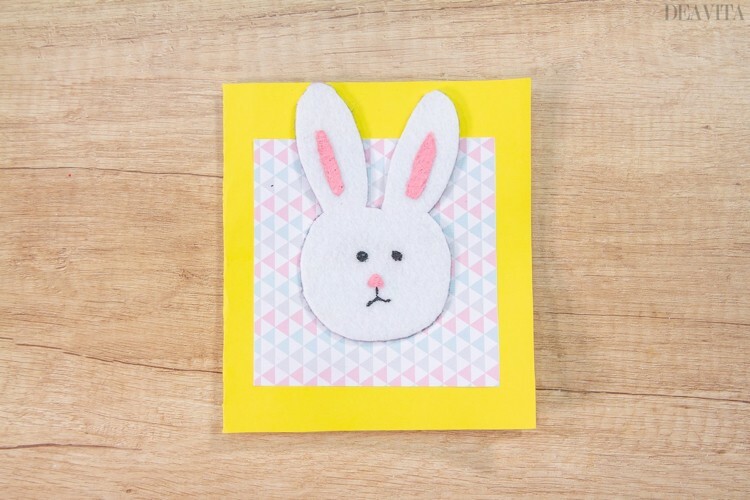 Draw a rabbit’s head on the felt. Cut out the motif from the felt and attach it to the colored paper. Paint the face and ears with acrylic paint. 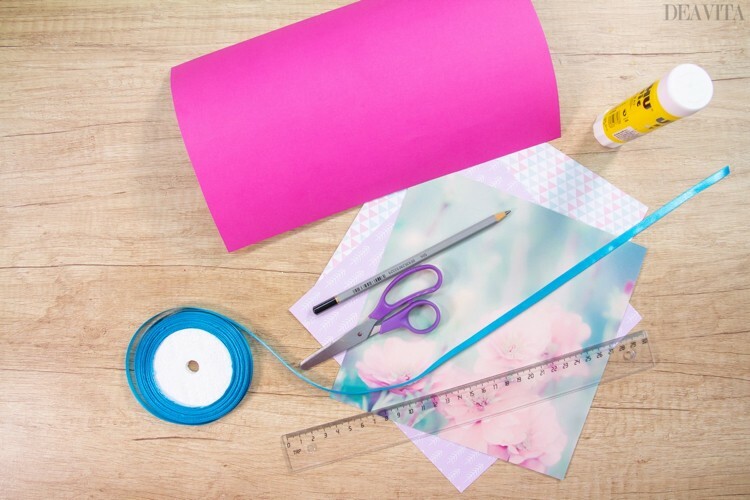 Fold the pink cardboard paper widthwise in the middle. Cut out a 10 cm x 10 cm square from the remaining cardboard. 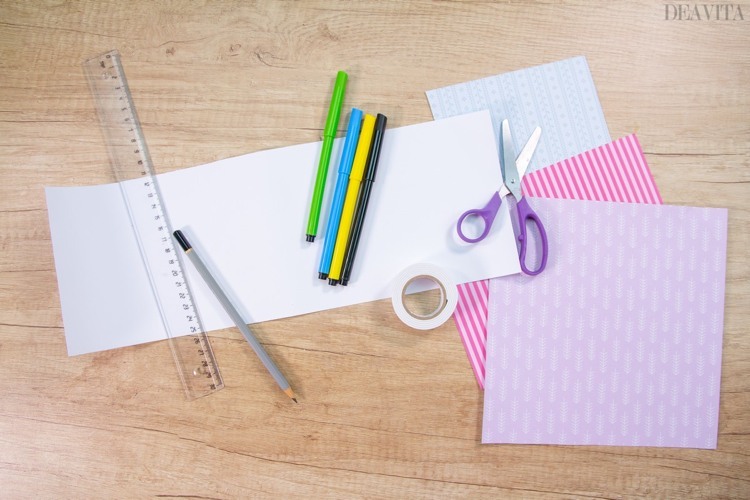 Cut the designer paper into 1 cm wide strips. Arrange half of the strips horizontally and the other half vertically on the square. 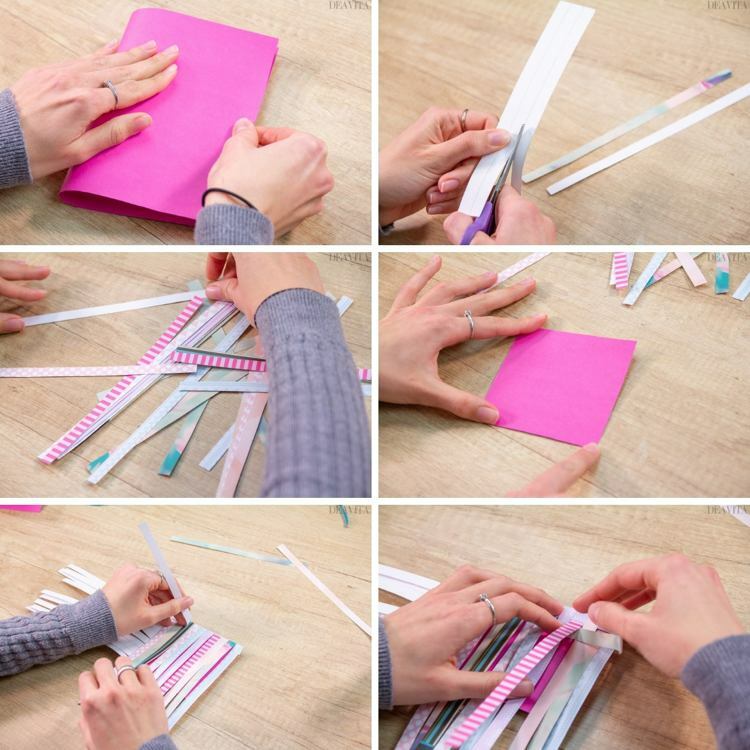 Weave the paper strips to resemble a basket. Fold the strip ends and glue to the back of the square. Glue the square in the center of the pink cardboard. 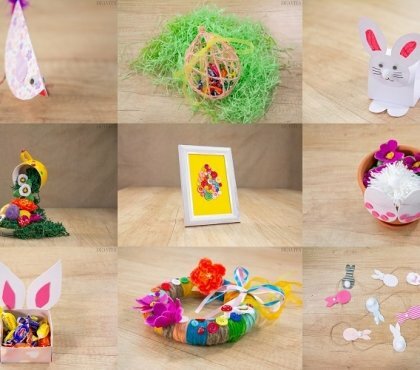 Cut out 5 paper Easter eggs. 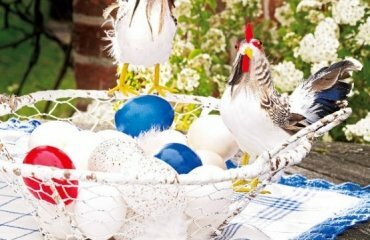 Glue the Easter eggs over the basket. 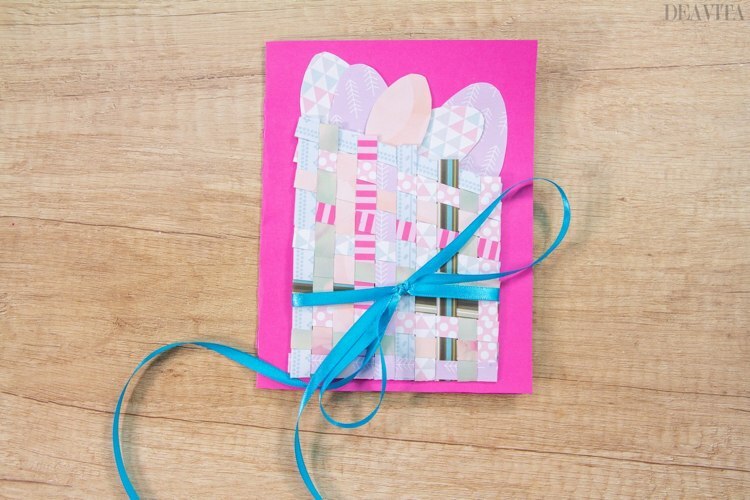 Tie a 20 cm long satin ribbon in a loop and decorate the greeting card. 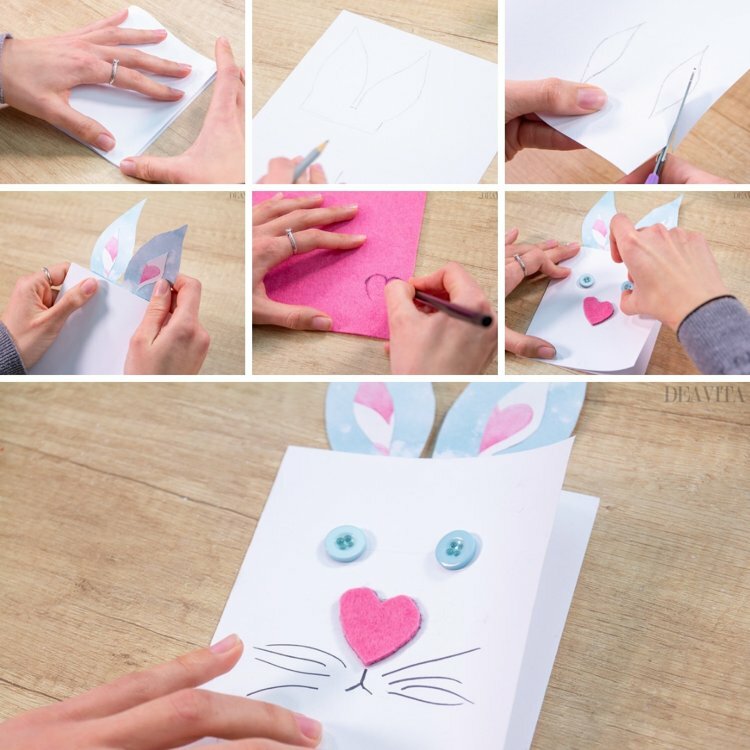 Cut out large rabbit years from the first sheet of designer paper large and small ones from the second sheet. 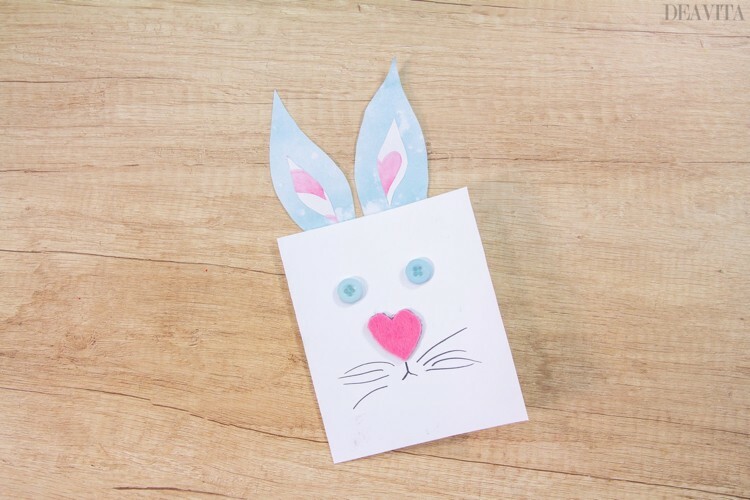 Place the small rabbit ears in the center of the big ones and glue. Cut a heart from the felt. 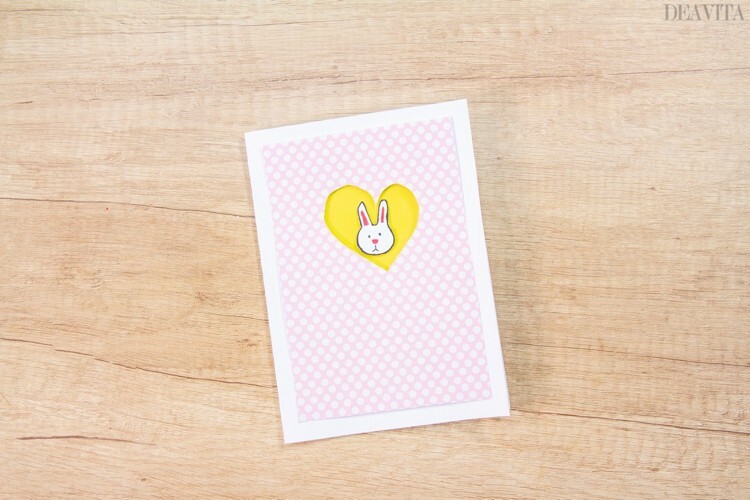 Glue the heart centered on the greeting card. Glue two buttons at the top for the eyes. 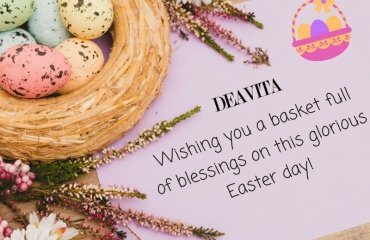 Super fun Easter greeting cards and quotes - send your holiday greetings!